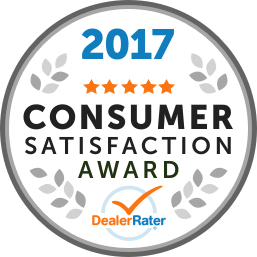 Proud Family Owned & Operated Used Car Dealership Serving Kitchener, Waterloo, Cambridge, and Guelph for Over 35 Years! 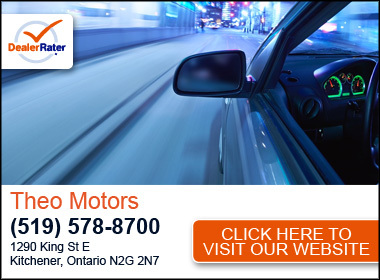 For the past 35 years, Most Wanted Cars by Theo Motors has served Kitchener, Waterloo, Cambridge and has grown to serve all of Ontario. We purchase all of our vehicles from the major leasing companies of Canada and provide full history reports on all of them. Buy with confidence as Most Wanted Cars by Theo Motors provides all customers with Car Proof histories on all vehicles. We have an A+ rating on the Better Business Bureau and intend on keeping it that way. "Worth the five hour drive "
It took me about five hours to drive to the dealership so all of the service was over the phone and this dealership did not disappoint. One of the best customer service I've ever dealt with, Amit answered all my questions and helped walk me through the process as it was my first time buying a new car. One of the lowest interest rates I was able to find. After the long drive to get to the dealership I saw the car in person and it looked amazing, even better than the pictures, and all the paperwork went well and at a good pace. I would highly recommend this dealership to anyone looking for a great car and an amazing customer service dealership. "Professionalism excel in service "
Have had issues with a car that was purchased here. I am in contact with them now and hopefully it will be resolved. Will update in the future.